This article explains the BACKTRACK error message “An error occurred querying items to be archived!” and details how to fix the underlying problem that caused it to appear. 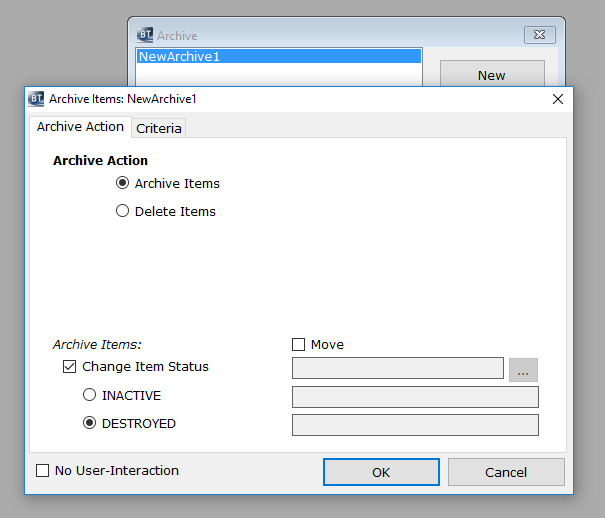 When ready to run an archive, the user then must run the previously saved archive routine. See example below of an archive called “NewArchive1”. The error indicates a problem when trying to extract the Item records indicated in the Criteria set in the Archive parameters. Please verify the parameter range for archiving data in the Criteria section. Make sure that the range covers some existing data.